On Sept. 6, Democratic Sen. Jeff Merkley of Oregon brought a giant question mark to the Senate floor to ask, “What are Republicans hiding” in advance of the confirmation hearings. The hearings began on Sept. 4. 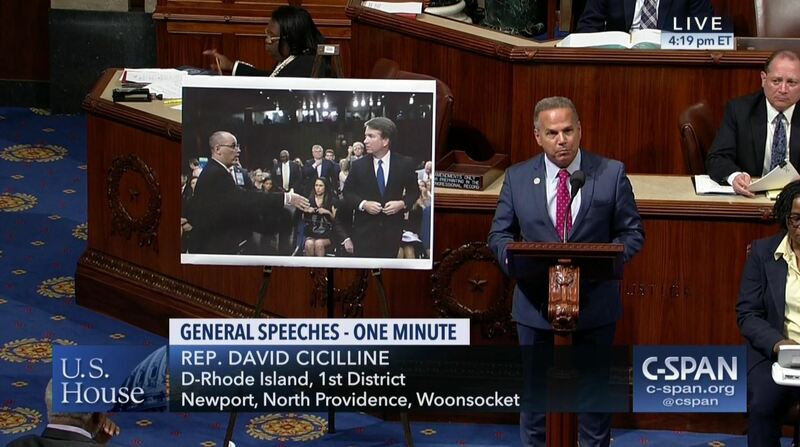 On Sept. 6, Democratic Rep. David Cicilline of Rhode Island used a photograph of Fred Guttenberg, a father whose child was a victim in the Parkland, Florida, shooting, trying to shake Kavanaugh’s hand. The photograph went viral because Kavanaugh ignored him. 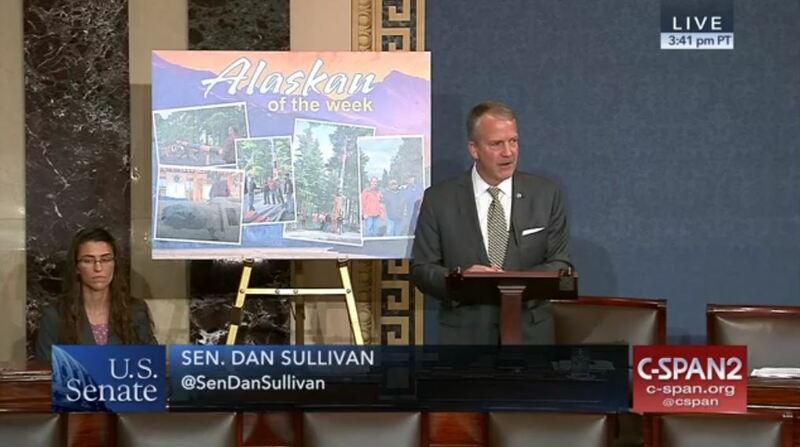 On Sept. 4, Republican Sen. Dan Sullivan of Alaska brought a new, updated version of his “Alaskan of the Week” poster. The poster is a staple of the Senate floor. 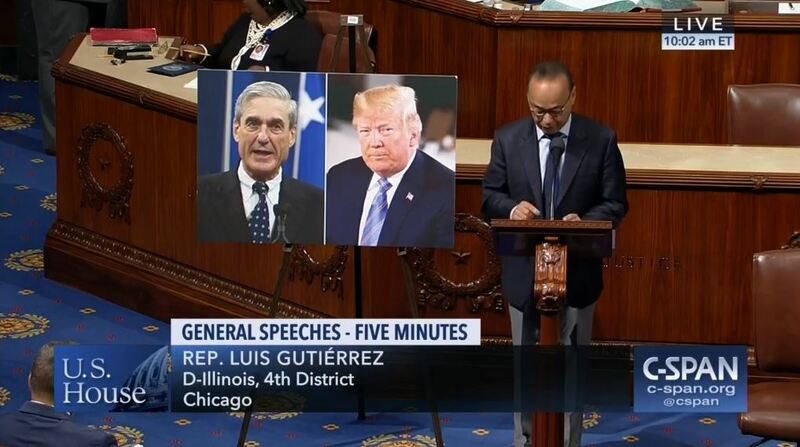 On Sept. 6, Democratic Rep. Luis V. Gutiérrez of Illinois brought a poster with a photograph of President Donald Trump beside a photograph of special counsel Robert S. Mueller III. Gutiérrez, like other Democrats, usually has a negative thing or two to say about Trump and the Russia investigation.